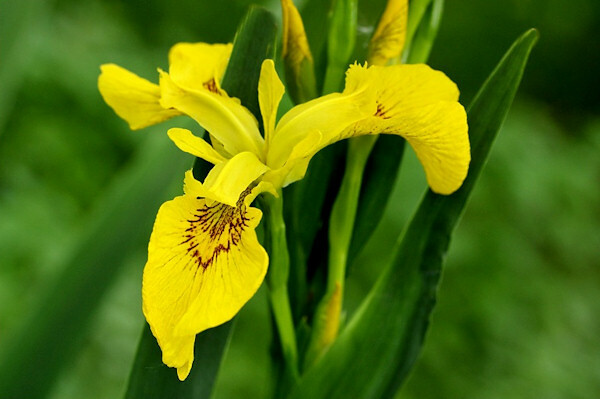 The Yellow Iris, or Yellow Flag, is a distinctive flower that grows near ponds and marshes. Although it grows throughout Britain, it is commonly seen growing wild in Western Scotland. In the past it has been used as a herbal remedy and even to make ink. 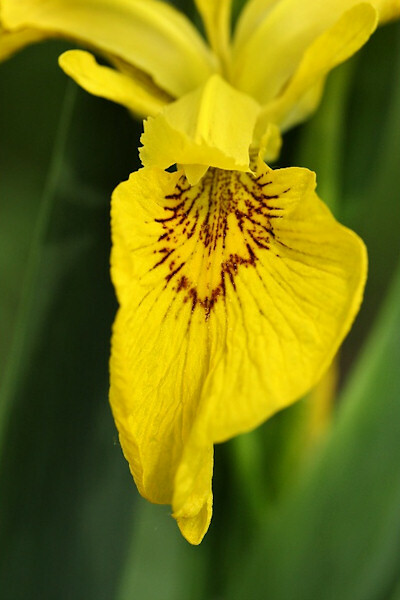 There are many different garden varieties of iris which come in various colours. We only seem to have had success with the Yellow Flag variety in our garden. They grow vigorously at the edge of our pond.